Pazera Free MP4 to AVI Converter is the freeware application which converts MP4, M4V and MP4V files into AVI or MPG (MPEG-1, MPEG-2). MP4 files are commonly used in video sites (YouTube), portable players (iPod, PSP), mobile phones (iPhone) and other devices. Unfortunately, many players and video editing software does not support the MP4 format. In this case, it is necessary to convert MP4 file to more common formats such as AVI or MPG. The program has a number of predefined settings (profiles) specially designed for novice users. 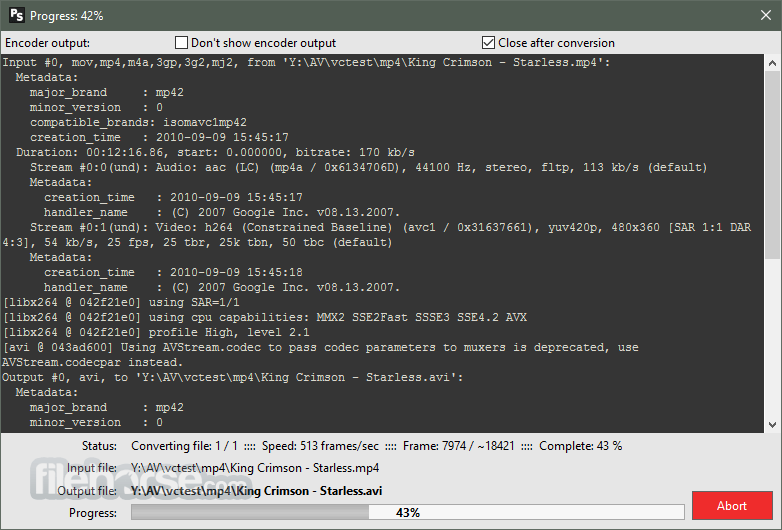 While more advanced users can customize video and audio encoding parameters used by encoder: audio and video codec, audio and video bitrate, fps, sampling frequency, resolution, volume and other. The application interface is a very simple and user-friendly. To convert video files, just drag & drop them into main window and click Convert button on the toolbar. Pazera Free MP4 to AVI Converter is Amazing! Converting from MP4, M4V and MP4V to AVI or MPG. Limited support for other video formats (including AVI, MKV, WMV, MP4, FLV, MTS, OGM, AMV). 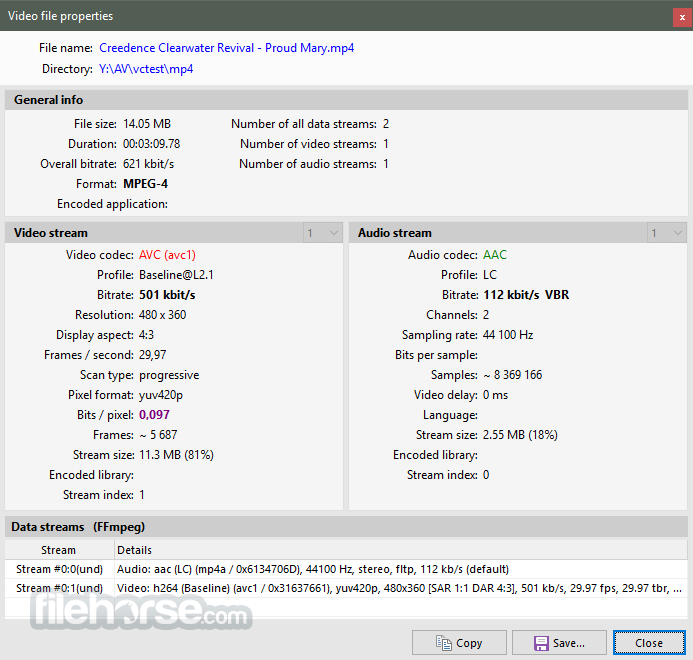 Decoding the most important audio and video codecs used in MP4 files: MPEG-4 AVC/H.264, AAC, MP3, MP2, MPEG-1 Audio Layer 1 etc. Supported video encoders: H.264 (x264), XviD, DivX 3, WMV, MPEG4-FFmpeg, S-Mpeg 4 v. 2, Motion JPEG (MJPEG), HuffYUV, MPEG-1, MPEG-2. Supported audio encoders: Lame (MP3), MP2, AC3, AAC, WMA, PCM 16-bit. The program has a built-in support for multiple languages. Current version supports Chinese (simplified), Czech, English, Finnish, French, German, Greek, Hungarian, Italian, Japanese, Latvian, Polish, Portuguese (BR), Russian, Serbian, Spanish, Swedish, Turkish.